Sometimes I make great and exciting foodie plans that unfortunately just fall through. It happened to me last week when I went on a quick day trip to Nottingham with some colleagues. As you may know I absolutely love Persian food, so when I found a Persian restaurant in Nottingham with great reviews online… I had to visit! Of course with my luck, I arrived only to find that it was closed for refurbishments *sigh*. 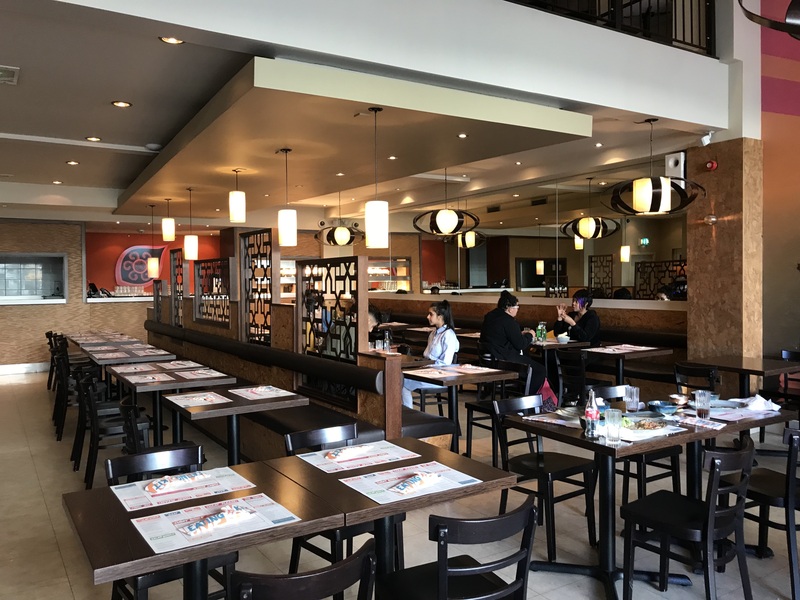 After much disappointment, I did a quick Google search and found Tamatanga – a halal urban Indian restaurant located nearby. It was not my first choice but it looked really good and I was excited to taste the food. 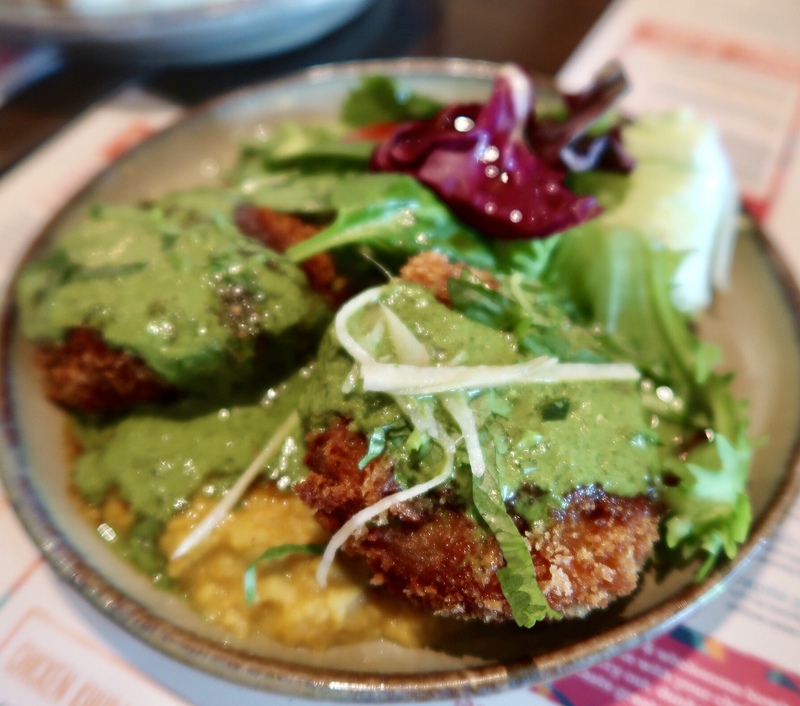 For starters we opted for Tamatanga’s crispy Keralan fried chicken bites which are marinated with curry leaves, ginger and garlic. 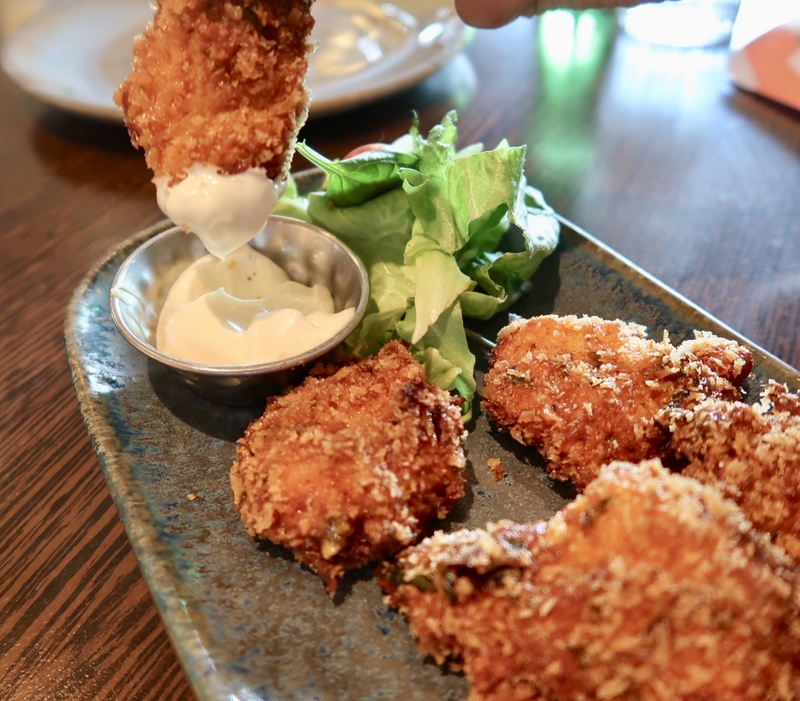 It’s served with a spicy mayo. I thought these were really flavourful, moreish and great for sharing. Ragda pattice is famous on the streets of Bombay and Tamatanga’s version consists of crispy potato cakes on masala yellow peas and their homemade chutneys. I felt that the potato patties themselves could have had a lot more flavour but once complemented with the spicy, minty chutneys they went down a treat. 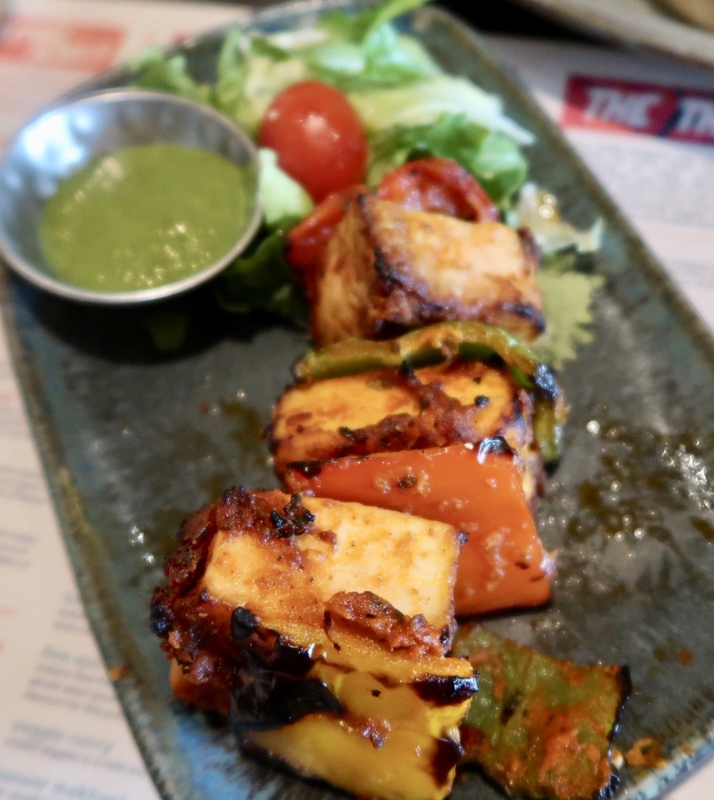 I’m not the biggest fan of paneer but Tamatanga’s version was delicious. It is coated in a spicy masala and served with peppers and a mint and coriander chutney. The restaurant has a large selection of meat, fish and veggie curries that are served with either rice or naan. We opted for the railway cabin lamb curry with fluffy, buttery naan (take a look at all that ghee)! 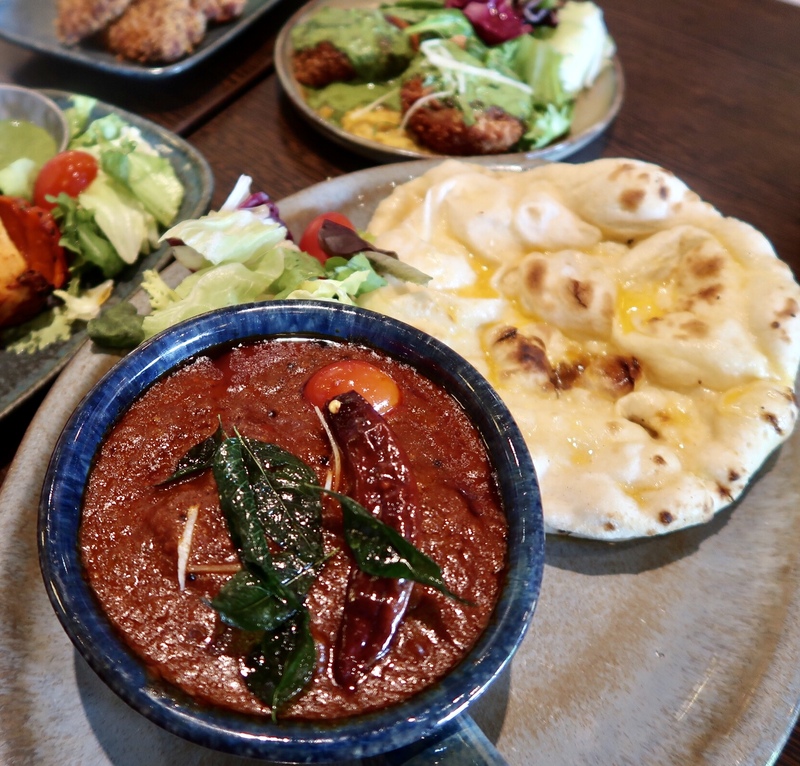 It consisted of tender cubes of lamb in a rich and super spicy curry that was perfect for dunking our naan into. Overall the bill amounted to just over £10pp including drinks. 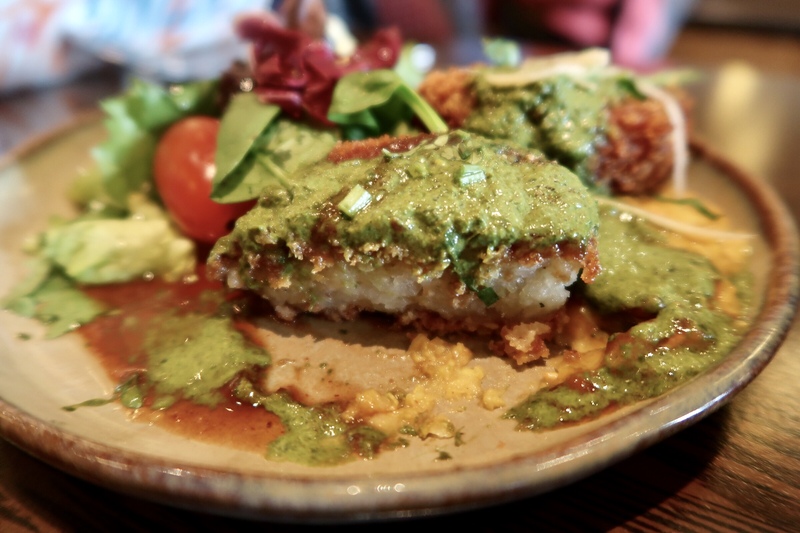 I enjoyed everything I ate at Tamatanga but I wouldn’t say that any of the dishes stood out to me as being incredibly amazing. The venue is modern and spacious which is great, but the service was a little slow. It was a decent place to visit and if you ever find yourself in Nottingham I would recommend it as a place to add to your list. P.S. 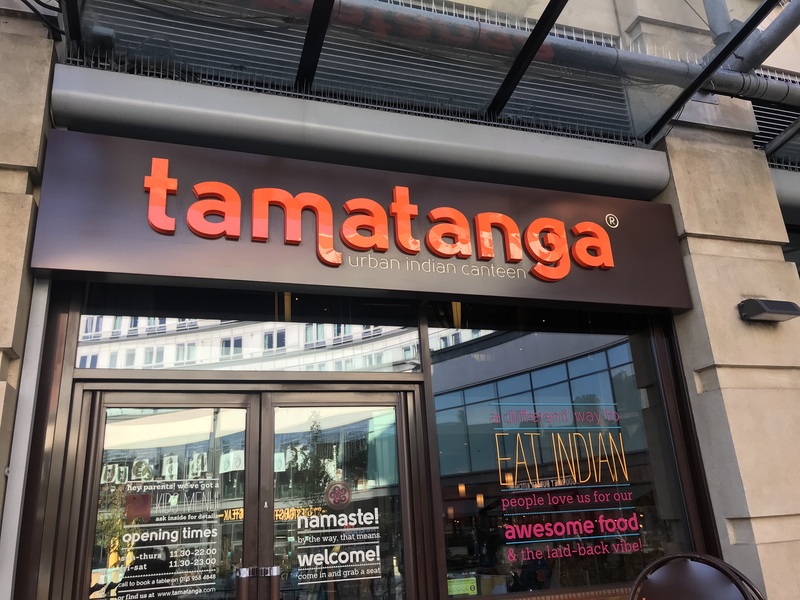 Tamatanga also have a branch in Birmingham!